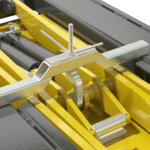 The UnoLiner CRS3000 In-Ground Compact is a chassis straightening bench that is mounted level with the workshop floor. 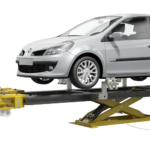 Its length of 3 meters and width of 91 cm allows it to fit in any car body repair workshop. 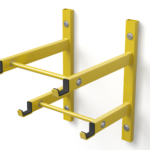 With a lifting capacity of 2500 kg and a maximum bench height of 116 cm, it's the perfect compact all-rounder. 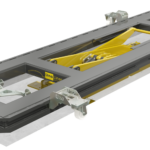 Despite its modest dimensions, it offers the complete functionality of a full-size chassis straightening and collision repair bench. 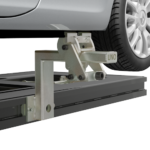 While the bench height itself is 14 cm, installing the top of the bench level with the ground ensures any car can easily be driven onto it. 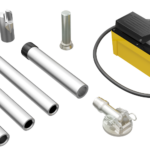 This compact unit is compatible with all UnoLiner accessories and tooling. 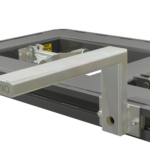 The CRS3000 In-Ground set includes an F30 Bench Frame with a L25 Scissor Lift, 1x R15 Drive-On Ramp Set. 4x C10 Quick-Lock Universal Chassis Clamps. 4x B10 Bench Adapters, 4x H20 Wheel Stand, 1x P10 Draw Aligner Pulling Tower, and 1x F1030-L Bench Height Set.